On these rare cold, winter evenings in Southern California, I often crave for some comfort food. The feeling of something warm in my tummy generally makes me a very happy person. Fortunately in Irvine, there sits a restaurant that has since franchised straight from Taiwan. Known for their spicy beef noodle soup, A&J Restaurant is the epitome of comfort food. A&J Restaurant contains a plethora of various noodle dishes. The décor has since been revamped to something a bit more modern since its opening over 15 years ago. And as for the wait time, expect a long one. The eatery is definitely a popular pick amongst Irvinians (if that is even a word). 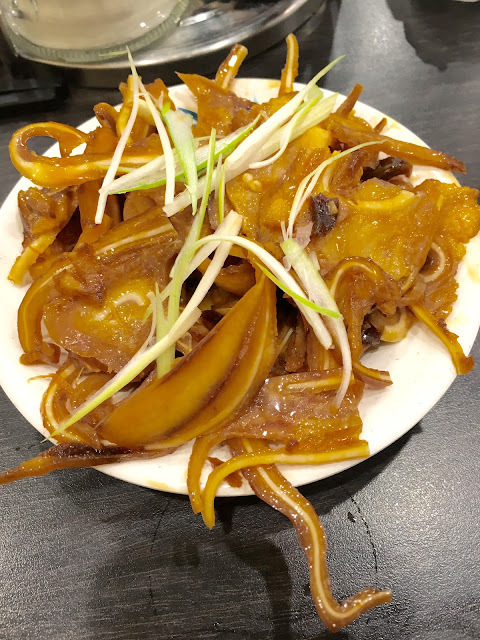 SLICED PORK EARS WITH HOT AND SPICY SEASONING ($2.95): This is one of those appetizers that you either love or hate. It has a chewy texture that is similar to tripe. The flavors are well balanced with a hint of spice that hits the back of your throat. For only $3.00, why not? 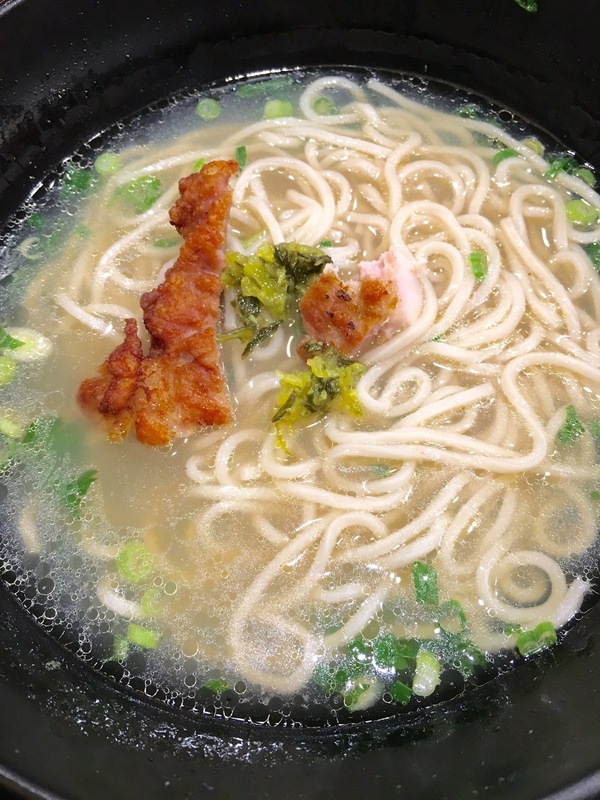 CHINESE STYLE FRIED CHICKEN NOODLE SOUP ($8.55): The chicken that comes on the side is delicious. 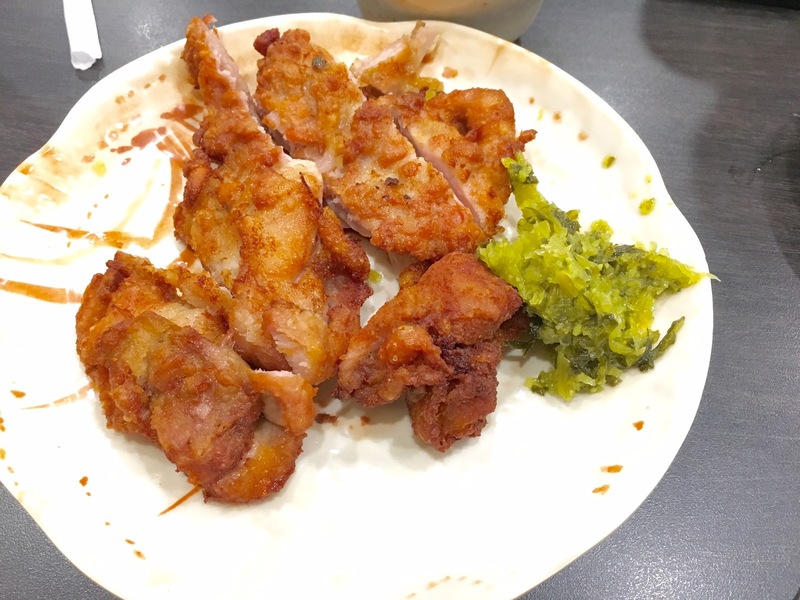 It's crispy and moist and reminds me of the Chinese fried pork chop but with chicken as the protein instead. These are the noodles that come with the fried chicken noodle soup. The noodles are chewy but the broth itself is pretty bland. I think this would be perfect for anyone who is feeling under the weather. 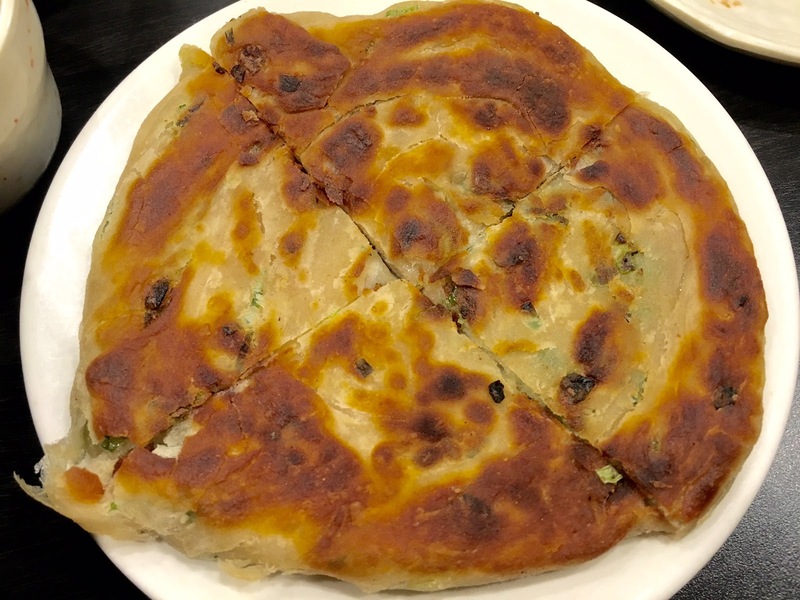 SCALLION PANCAKE ($3.95): These pancakes were super dense and crispy. They were good but for $3.95, I'd rather just buy a frozen version and cook it on the stove myself (or make them on my own). MY FAVORITE DISH. SPICY BEEF TENDON NOODLE SOUP ($9.25): This dish is so good. The spice level is perfect and hits you at all the right spots. The tendon is super tender and cooked well. The bok choy adds a nice vegetable to the dish and the noodles are chewy and filling. The perfect comfort food. Overall, A&J Restaurant delivers authentic Taiwanese cuisine without putting a dent in your wallet. It is affordable and tasty. There are a number of noodle soups I still have yet to try, but I always find myself going back to the beef noodle soup that they are known for. The only downfall is that their locations are in Asianville or the OC. Tip: It's cash only so bring those dollar bills with you! Redbird is Chef Neal Fraser's restaurant offering contemporary dishes that are sophisticated and innovative. The food is delicious and the location itself is worth a visit. Located in Little Tokyo, Simbal is one of those restaurants that brings you to Southeast Asia without having to take a plane across the Pacific. You are exposed to dishes that range from China, Thailand and Vietnam. Expect dishes that are bursting with flavor with a seasoned touch. Chef Ricker transports you to Thailand with dishes that are authentic with others that exude his creativity. The ambiance is reminiscent of a pub in Thailand. The food is meant to be shared and is a bang for your buck! Reservations to the participating restaurants mentioned can be made using OpenTable (and you'll receive points toward a future gift certificate). Any other restaurants you recommend I try? Let me know!